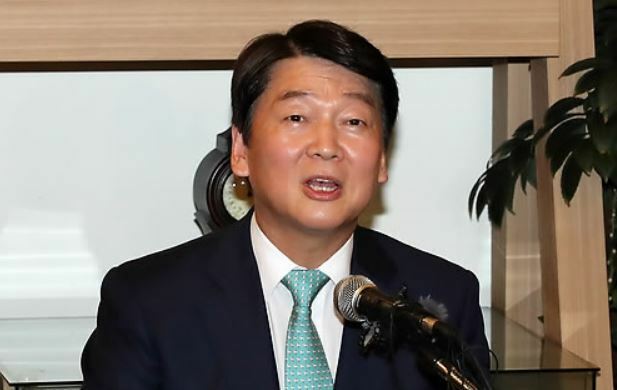 Ahn Cheol-soo, a former candidate for the Seoul mayorship, said Thursday he will leave the political scene for a while following his party's crushing defeat in last month's local elections. Ahn of the minor opposition Bareunmirae Party ranked third in the race on June 13, throwing into question his political path. Current Seoul Mayor Park Won-soon won the election. "I am leaving the political scene to spend time soul-searching," Ahn said in a press conference. "By working as a politician for five years and nine months, I did my best for the multiparty system, but there were many things that were not satisfactory." Ahn said his first stop will be Germany, where he plans to have time for reflection and learning. "I don't know what lies at the end (of this road). But I will watch how the world is responding to challenges and changes, and ponder what is the right direction to move forward," he added. Ahn has recently returned home after a US trip that he took after his defeat in the Seoul mayoral election. His party won no seats in the 17 big-city mayoral and gubernatorial races, and also failed to secure a parliamentary post in the by-elections held at the same time. Ahn, a doctor-turned-computer expert, gained popularity among young Koreans when he entered politics in 2011 with a relatively clean image. He was a front-runner ahead of the 2011 by-election for Seoul mayor but later dropped his bid and supported Park. Ahn, a former presidential candidate, withdrew from the presidential race in November 2012, less than a month before the election, giving his support for Moon Jae-in, then-candidate of the main opposition party. He ran for the presidential election in May 2017 but failed to win. Public support for Ahn has been on the wane, apparently because he has failed to usher in an era of new politics as he earlier promised. Ahn declined to elaborate on when he would come back to politics.